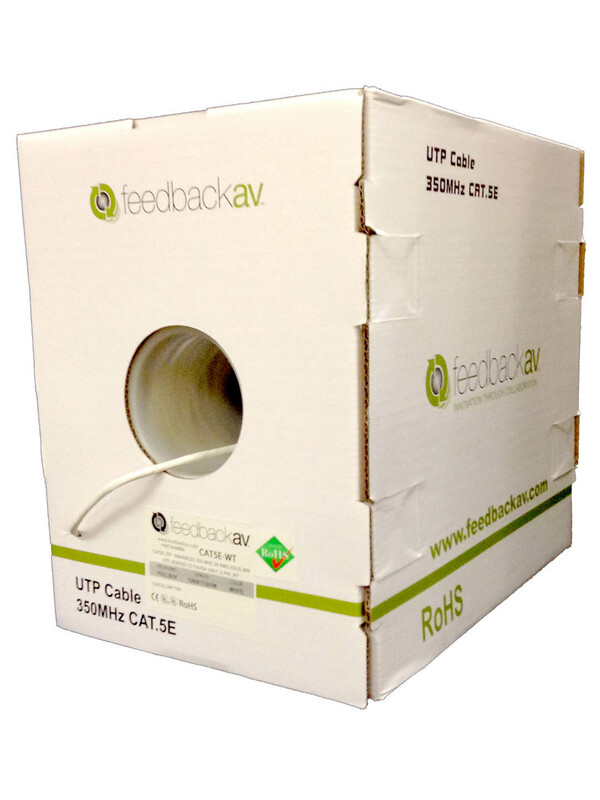 Feedback AV cables are manufactured and tested to meet TIA/EIA 568-C.2 Category 5e and ISO/IEC 11801 Ed2 Class D standards. All Cat5e UTP cables are packaged in our award winning Pull Box with guaranteed tangle free pulling. These cables are UL and CM rated.